This is the trending topic on our Instagram handle. Yes, reading is mostly about books! But…. One of our main aims @thereadinggymng is to make your reading experience a seamless one. That’s why we have created our Reading Accessories Collection. It’s not only bookmarks that serves as an accessory to books. 😉 We have many accessory ideas to share with you. I love EOs. I utterly, utterly love them. And my two main brands are Plant Therapy and Edens Garden. You really need to be careful where you source your EOs, there are many processes to getting pure grade authentic essential oils and there are things to look out for when choosing a brand. That’s for another day. Today? Let’s talk EOs for mental clarity and focus. 🙇🙇🙇. 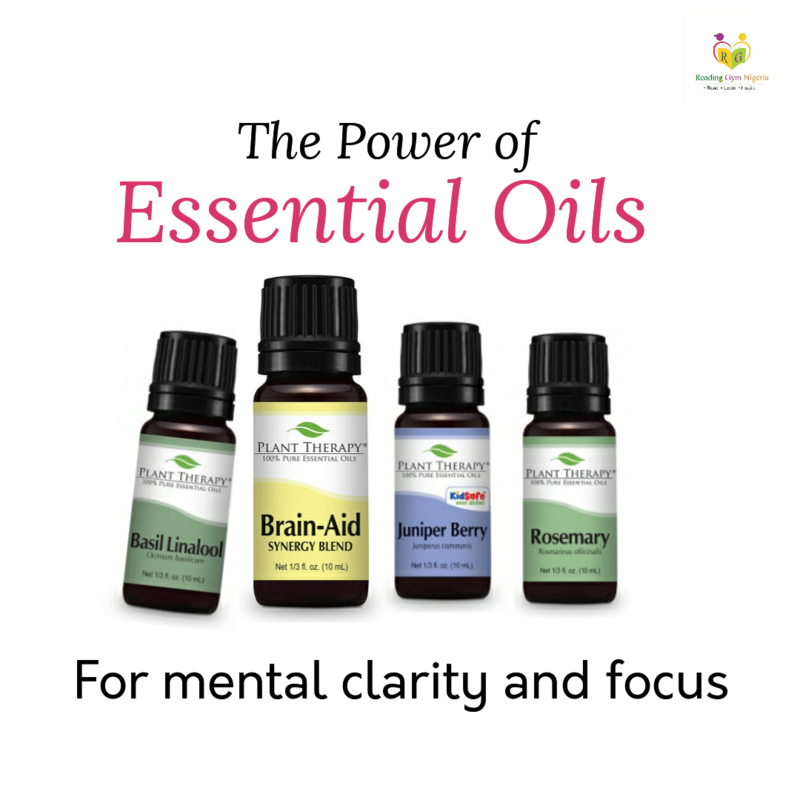 I will start with 5 oils to aid focus and clarity. You can apply EOs by diffusing (my favorite), topical (massage) and usually mixed in a carrier oil, or just add a few drops into your cream. So which ones do you use? What are your favourite brands? This is a lovely article I read on Kathy Kiefer’s blog on dyslexia. Worth the read. For those that have been asking……. How hard is it to learn with Dyslexia?Can it be overcome?With dyslexia can you be successful?What are they symptoms and causes (if any) of dyslexia? I read so that I can be informed, enlightened, engaged, distracted, consumed, occupied, reminded, identified, sojourned, trained,…and educated. I read to be informed of the past, present and future. I read to be enlightened of happenings around me and in the world at large. I read to be engaged at times that I seem to have too much time for too little to do. I read to be distracted from the daily tribulations of life. I read to be consumed in the thoughts of great minds, known and unknown. I read to be occupied with the more important things of life. I read to be reminded of my essence of being. I read to be identified with the world of imagination, the world of books. I read to be sojourned to places known and unknown to me. I read to be trained, so that I can do things I need to do, in order to be able to do things I want to do. 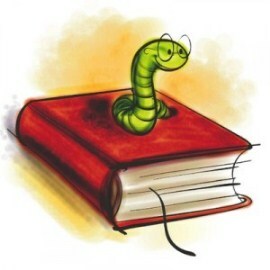 I read to be ….. I read to be educated! Abdul Ghaniy Otukogbe. He is married with 3 kids, a Learning Instructor with Adult Education of ERYC, UK – with special interest in Literacy, Numeracy and Learning Disabilities. 2. Who Should Read Aloud? Who should read aloud? Me! You! We all have to. A book contains the same content be it new or used and regardless of the reader or listener, so far as it is the same title. Civilizations have survived on reading with few writers because reading is an integral part of the human existence, just think about the enormous effects scriptural books have played in the history of mankind even at times when most of mankind could neither read nor write but had few of them reading these scriptures to them. This tells us that reading is not just very important but reading aloud is very essential for the survival of the human race as this has always been the means by which those that know are able to inform those that do not know. 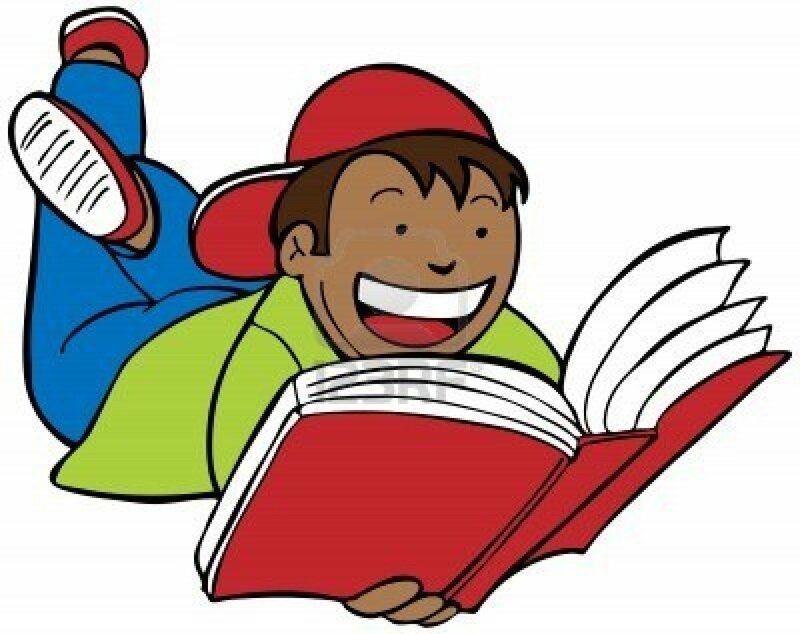 This lead one to say that: in the process of building the knowledge required for eventual success in reading, reading aloud to children is the key. 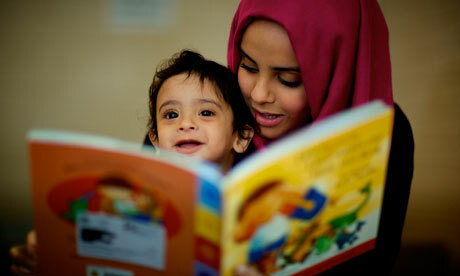 READ ALOUD BASICS: Making children book lovers and not haters. This is a write-up by a parent, turned teacher, as he unravels his discovery of reading aloud and its immense benefit to the child. Follow us as we learn about an interest turned into a passion. ” I think story telling was my life. I was very curious about story telling. Even attempting to remember the first one is like trying to remember the day you were born. I’m not sure you can”. – Chinua Achebe (on CNN). The Author of the classic novel: “Things Fall Apart”.